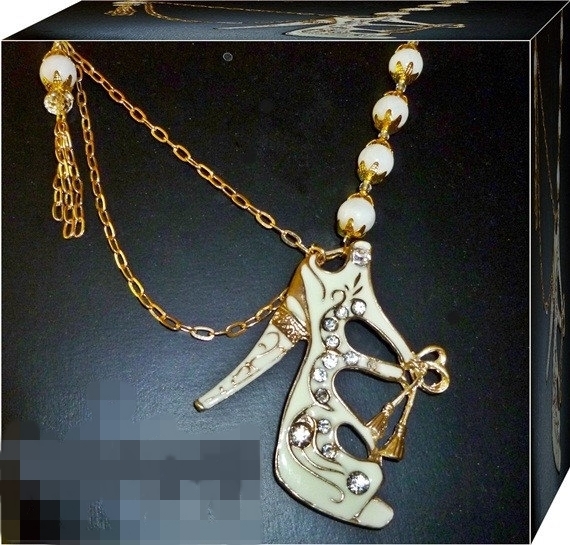 Gorgeous cream enamel shoe which is decorated with gold and rhinestones. An asymetric necklace with a dangle chain. 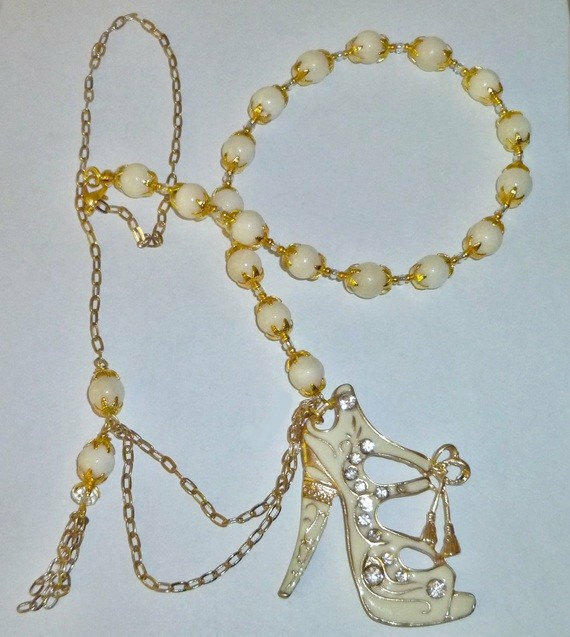 The beads are cream jade and swarovski crystal. 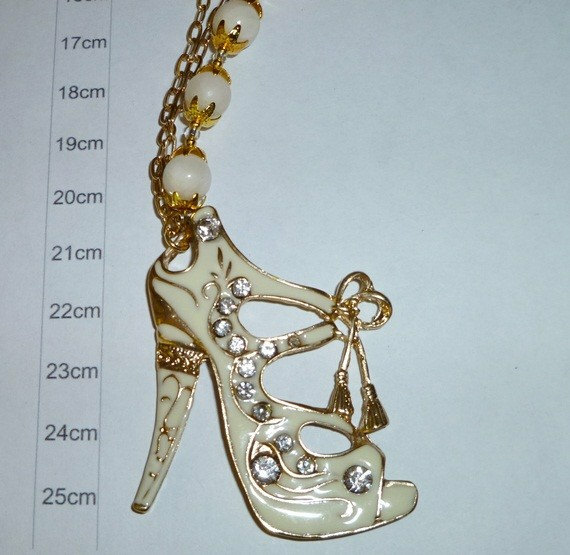 The necklace without the shoe is 30cm long.